What’s the difference between 0xffffffff and 0xffffffffu? In C++, what is the difference between 0xffffffff and 0xffffffffu? 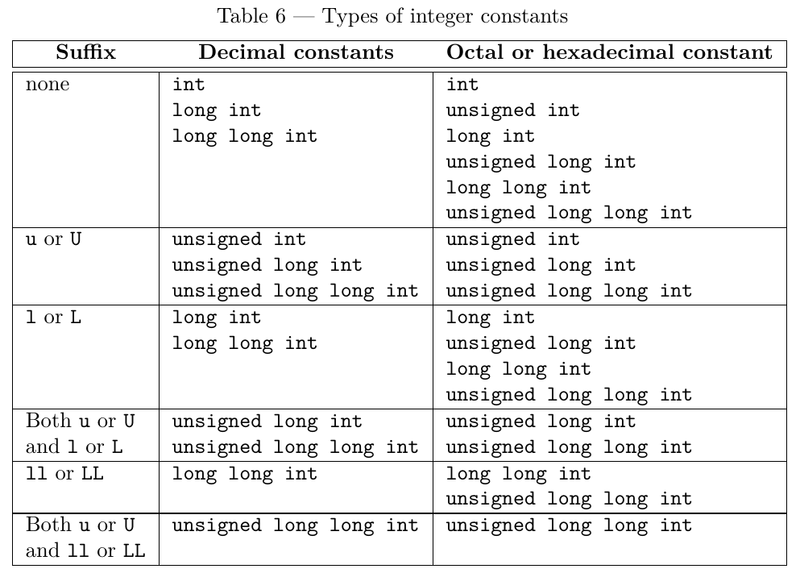 The type of an integer literal is the first of the corresponding list in Table 6 in which its value can be represented. 0xffffffff is a hexadecimal constant, it’s too big to be represented in a (signed) int, so — by the terms of the standard — the type of 0xffffffff is unsigned int. @twoscomplement One is a commonly used curse when the compiler screws up. Watch as the OS rewrites my buggy program. Learn more about caches & library implementations. Use fewer linked lists. Studios, twenty and over. 2014 Edition. Can C++11’s final qualifier affect codegen?